"As of now, I am in control here, in the White House, pending the return of the vice president." 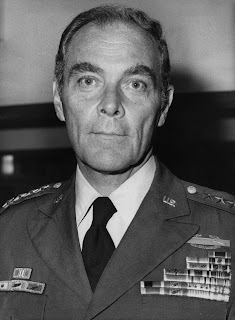 Those were the words of Alexander Haig on March 30th, 1981. President Ronald Reagan had just been shot and rushed to the hospital and Vice President George Bush was en route from Texas. As the Secretary of State, Haig made his now-(in)famous statement in an effort to assure Americans that there was no vacuum of authority per the presidential line of succession. Haig was wildly wrong, of course (the next in line after Vice President is the Speaker of the House, followed by the President pro tempore of the Senate and then the Secretary of State) but it was merely a colorful moment in a life of decorated military service to his country, followed by assisting three presidents and even having a try for the office himself. The sad news broke this morning that Alexander Haig has passed away at the age of 85.